I know that just earlier this week I said this would be the last wreath you would need to buy/make, but, I had already made this one, so it doesn't count right? 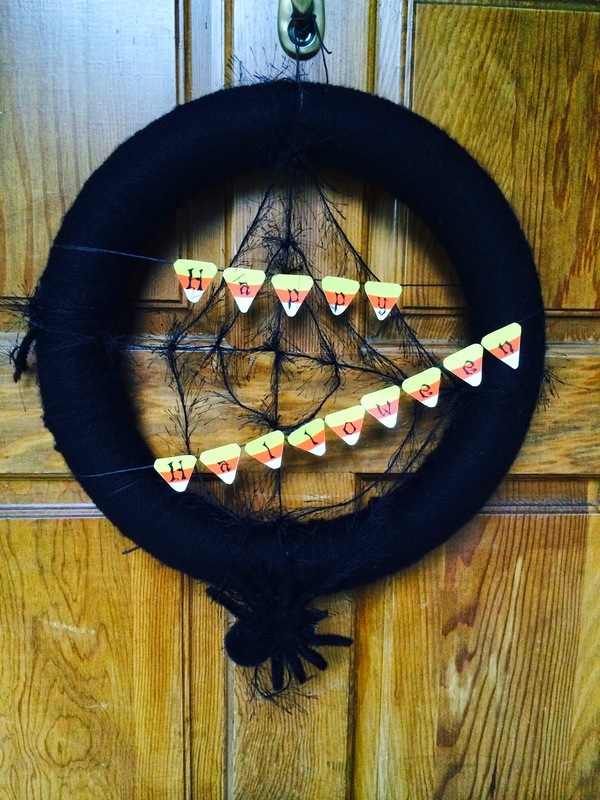 I took a foam wreath from Michael's and wrapped it with black yarn. 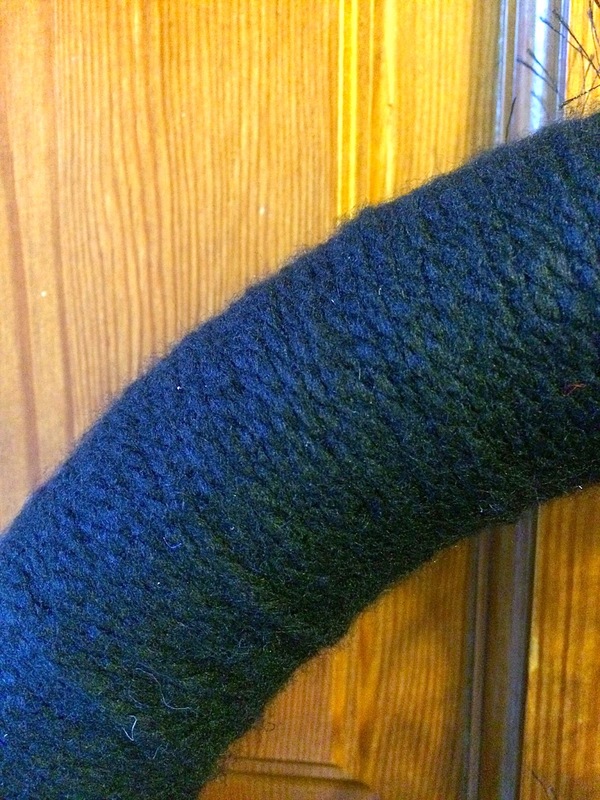 I'll have to tell you, wrapping a foam wreath in yarn is way more work than I had expected. I swear I was at it for about an hour! After I was done wrapping the yarn, I tried to spin a spider web. There was two things I had trouble with doing this. One, I had to try to string a spider web, which, I am not sure if you know this, but spiders are vile and awful creatures. And two, the yarn I used for the web was a "hairy" yarn and it was so horribly difficult to work with, so it's not completely how I visioned it and I will most likely rip it all apart and start over eventually. When that was done, I sprinted a little bunting banner with my Silhouette, glued it on and I was done! 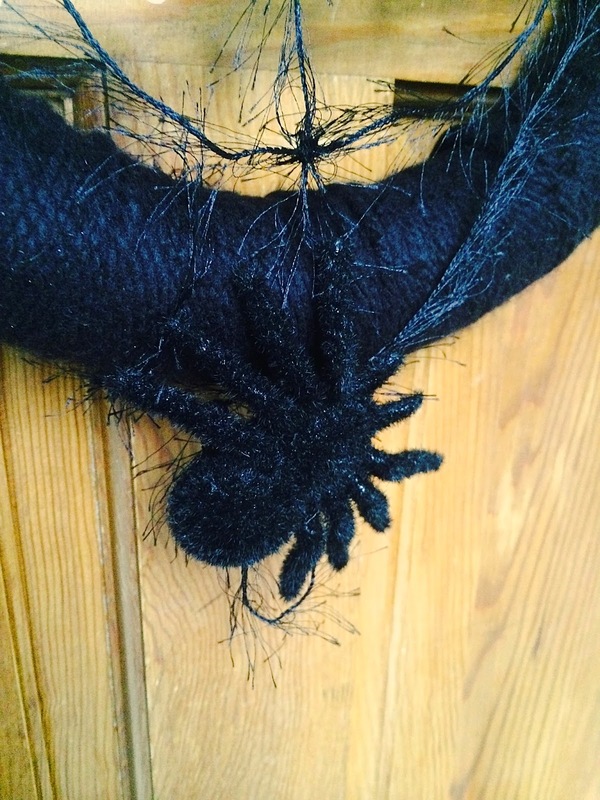 Oh, except I hung a spider from the end of it...because, what's a web without its vile counterpart? 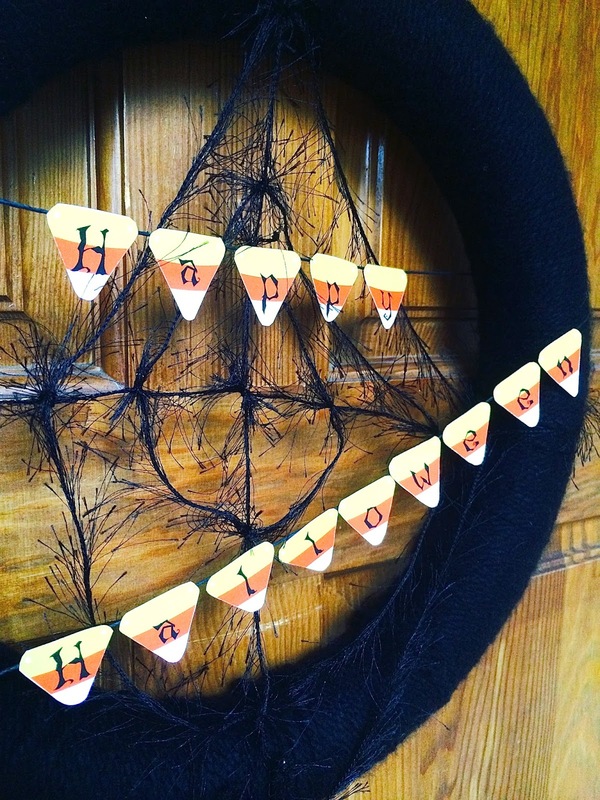 This post is part of a huge Halloween idea blog hop! Please scroll down to see all the other projects/blogs that participated and click around to see what they did!